In a large saucepan, combine the oil and popping corn. Cover and cook over moderately high heat until it starts to pop. Shake the pan and cook, shaking occasionally, until the corn stops popping, 3 to 5 minutes. Transfer to a large bowl, add the melted butter and toss to coat. Add the cheese mixture and toss again. Serve. 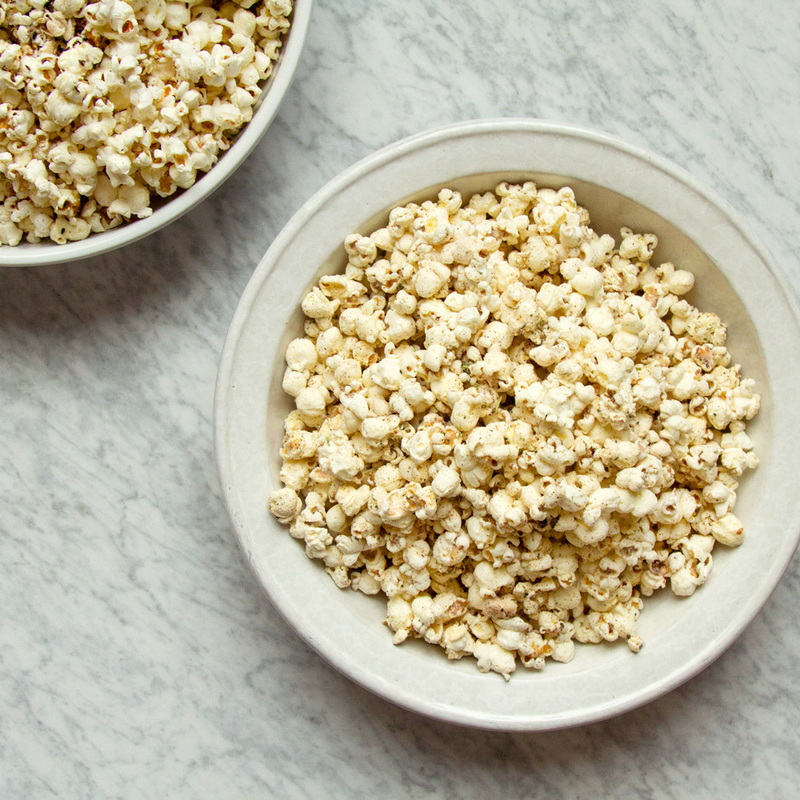 The popcorn can be stored in an airtight container overnight. King Arthur Vermont Cheese Powder is available at kingarthurflour.com.